At Bosch we are dedicated to innovating security where you need it most. We constantly push the boundaries of technology to develop intelligent solutions that go beyond the highest security demands of today and deliver clear business advantages beyond security. We believe that the logical next-step for security is to enable customers to interpret the data to start repurposing these huge amounts of video data. The ability to interpret video data directly at source helps to substantially improve levels of security, as well as offering clear business advantages. 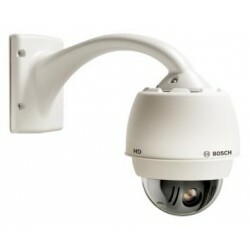 Bosch video security solutions offer various software and hardware measures, such as a built-in Trusted Platform Module, to keep video data secure.